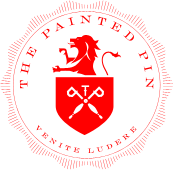 From the team behind the highly acclaimed The Painted Pin…comes The Painted Duck—OPENING DECEMBER! The Painted Duck, a distinguished drinkery, duckpin bowling, and gaming parlor, will be opening on the Westside early December at the intersection of 10th Street and Brady Avenue in the new Stockyards Atlanta devlopment. The Painted Duck will include 16 full service duckpin bowling lanes, 2 Belgian feather bowling lanes, 2 indoor horseshoe pits, knuckleball, toad in the hole, 2 indoor deck shuffleboard courts, a 22 ft. table shuffleboard, a basketball 3 point and free throw shoot out, air hockey, snookball (a hybrid sport that blends pool with soccer), and other unique competitive group gaming options. The cuisine will be “backyard barfare” with small plates, dips, sliders, sandwiches, salads, and skewered wood fired meats and proteins called “quills”, prepared on a custom show-stopper grill. The beverage program will focus on signature and classic cocktails, artisanal wines by the glass, and local and craft beer. Live music will be offered Thursday-Saturday. Check in at thepaintedduckatl.com and follow us at @painteduckatl for play-by-play opening updates.